The Centre of Excellence in cooperation with the Institute of International Economic Relations organized a roundtable on The UN and Parliamentary Diplomacy. 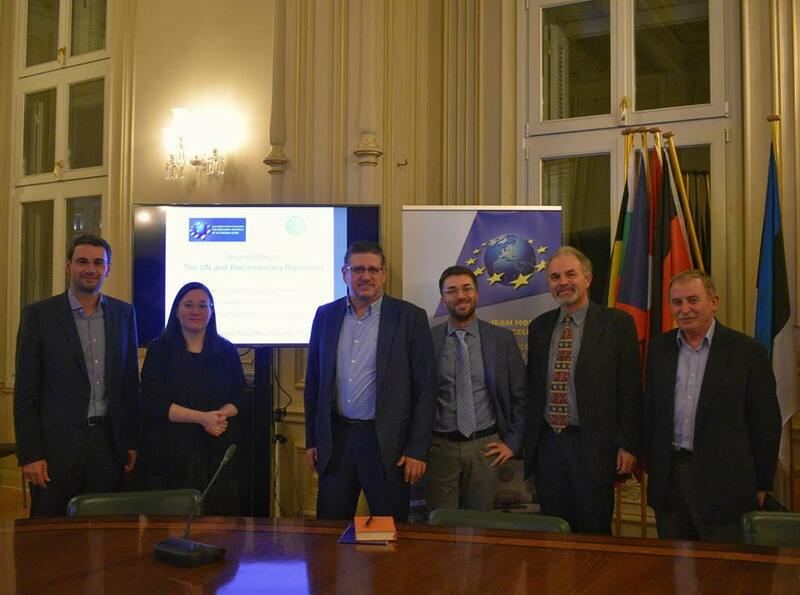 The event took place on November 8, 2018 at the European Parliament Liaison Office in Athens. Participants had the opportunity to take part in an open dialogue on the UN and parliamentary diplomacy and to interact with EU foreign policy experts, including Prof. Edith Drieskens, Dr. Stelios Stavridis and Dr. Andrea Cofelice. The event was chaired by the Director of the Centre of Excellence, AUEB Prof. Dimitris Bourantonis and by AUEB Associate Prof. Spiros Blavoukos.